I understand it’s a well-put critique form mainstream journalists (former and current editors of the Dutch Quote magazine) that seems to hammer the last nail into the coffin of the official denial that tax evasion and money laundering are not a central part of Dutch trust sector. 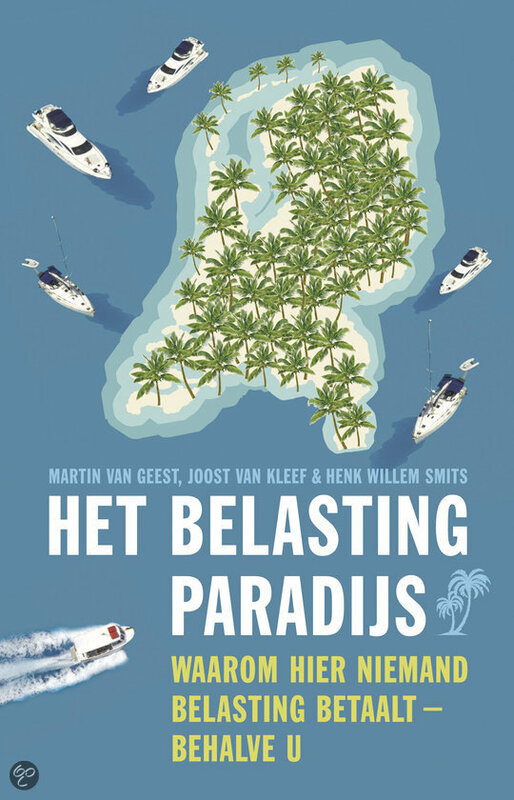 It also provides a first comprehensive historical overview of the Netherlands as a tax haven I understand (not only from a legal fiscal perspective). "In almost all major corporate scandals of recent times - Enron, Trafigura, Parmalat - were Dutch trust offices or their affiliates in the Caribbean in one way or another involved. Even worse is that the Netherlands is also a turntable in transporting and laundering dirty money, the Italian mafia to Chinese triads, Russian oilmen to Colombian trade houses - they know the road tax haven Netherlands as their pocket. While the government denies this crime, filling lawyers, tax accountants and their pockets with devising structures for criminals. It is therefore no wonder that the criticism Netherlands increases. What have we here anyway? The trust sector and other stakeholders in the financial industry often defend themselves by pointing to the employment and additional tax revenues. But from the calculation in the tax haven is created, it appears that the proceeds rather disappointing." It's in Dutch, but it looks like a very useful contribution to the literature.